A deadly disdain for science. The Conservative Party’s stance on asbestos -which drew worldwide condemnation -is just the latest example of the federal government’s embrace of an alternate reality bereft of scientific evidence and morality. Canada mocked in U.S. for asbestos ‘hypocrisy.’ Just in time for the Canada Day weekend, a major U.S. online magazine is calling out Canada for its “breathtaking hypocrisy” for exporting asbestos while seeking to rid the product at home. Call for regulation of hair-smoothing products. At least 10 members of the US House are asking the Food and Drug Administration to look into whether women who undergo the treatments, including the popular Brazilian Blowout, pay another, nonmonetary price that’s way too great, one that’s the result of formulas high in formaldehyde. Study downplaying cellphone risks funded by manufacturers. An international study which debunks research linking cellphones to cancer risks received major funding from wireless manufacturers. Fukushima children test positive for internal radiation exposure. Trace amounts of radioactive substances have been found in urine samples taken from children from Fukushima city, raising concerns that residents have been exposed internally to radiation from the stricken nuclear power plant 37 miles away. 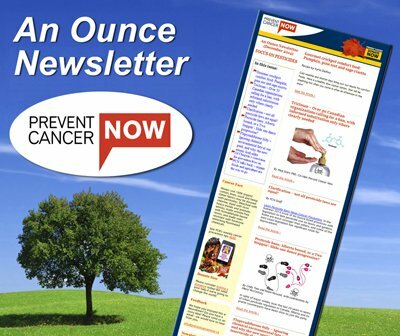 Shade: A weapon against skin cancer, childhood obesity. At a time when one-third of children are obese or overweight, a movement is growing to provide more shade at playgrounds, parks and pools, both to reduce future cancer risk and promote exercise. USA Today. 1 July 2011. Ban on tanning pondered by states. If a proposed law passes, California teens under 18 will need a fake ID to “fake and bake” themselves to a golden brown. Citing skin cancer risks, legislators have joined lawmakers in at least 21 other states who have debated bills this year to ban or restrict tanning bed use by minors. Greenpeace takes on Monsanto over ‘pesticides arms race’. The use of the popular weedkiller, ‘Roundup’, in public parks and on agricultural crops is a danger to public health, according to a new analysis of scientific evidence. 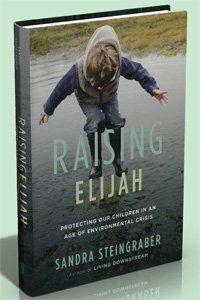 A new book from Sandra Steingraber – Raising Elijah: Protecting Children in an Age of Environmental Crisis.